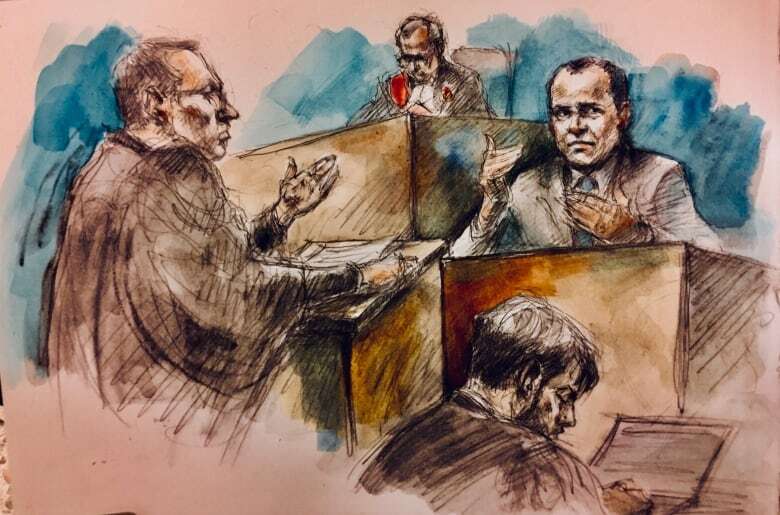 Justice Robert Clark said Craig Ruthowsky, a Hamilton police officer guilty of a pay-for-protection scheme with a crew of drug dealers, was arrogant, motivated by "unbridled greed" and still has no remorse for his crimes. 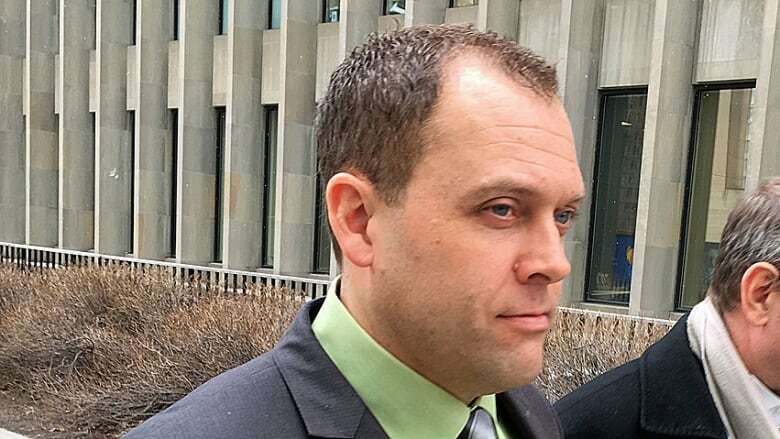 A Hamilton police officer who was found guilty in a pay-for-protection scheme with a crew of Hamilton drug dealers has been sentenced to 12½ years in a federal penitentiary. Justice Robert Clark sentenced Craig Ruthowsky in Superior Court in Toronto on Tuesday. The sentence includes six months credit for time served. Ruthowsky was also ordered to pay a $250,000 fine — the amount Clark said Ruthowsky took in bribes. If Ruthowsky doesn't pay that fine within a year, three more years will be tacked onto his sentence. Ruthowsky was found guilty late last month on charges of bribery, obstruction of justice, breach of trust and cocaine trafficking. A jury found that he was helping the criminals he was supposed to be investigating in exchange for cash. Ruthowsky's family hugged each other and sobbed in court as the sentence came down. As the 44-year-old was being led away in handcuffs, he turned to his family and said, "I love you guys." The judge called the disgraced officer the "author of his own misfortune" and "a man of profoundly flawed character." "The conduct for which [Ruthowsky] must now answer was motivated by sheer, unbridled greed," Clark said. 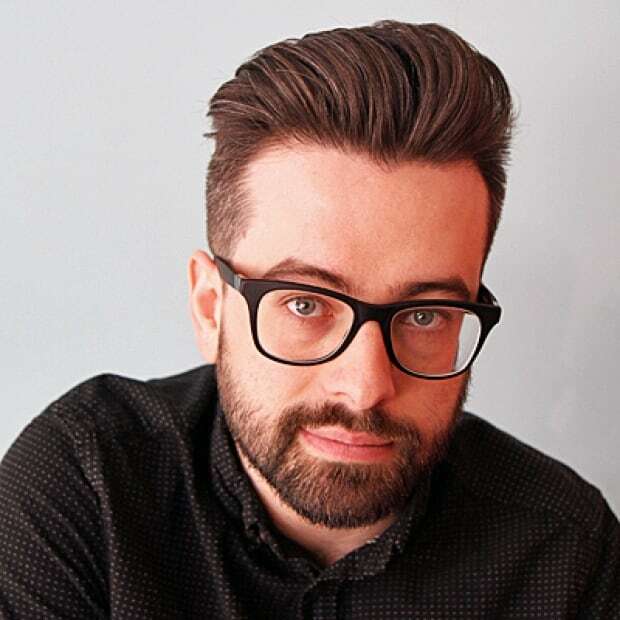 Ruthowsky was arrested after being caught on police wiretaps as part of a massive Toronto police guns and gangs investigation called Project Pharaoh. He is appealing the sentence. A bail hearing will be heard at the court of appeal Thursday. Clark repeatedly glared at Ruthowsky from across the courtroom while giving his judgment. Every time the judge mentioned the amount of money that Ruthowsky had accepted as a bribe, or his conduct in the witness box while testifying, Clark stared him down, hammering his words home. The judge called Ruthowsky "arrogant," and said he felt a "supreme entitlement to do what he was doing." He said Ruthowsky has shown no remorse. "He has absolutely no insight into the profoundly wrongful nature of his actions," Clark said. At one point, the judge even called into question the actions of Ruthowsky's wife, who is also a Hamilton police officer. On one intercepted wiretap call with a drug dealer heard during the trial, Ruthowsky mentions that his wife is in the car, which Clark said raises questions about "exactly how much his wife knew about her husband's illicit activities." Members of Ruthowsky's family gasped as he said this. His mother yelled that her son "didn't take a cent" as she left the courthouse. The sentencing marks the final step in a lengthy and intricate trial that lasted much longer than expected. Sentencing was delayed twice — first by a failed defence motion for a stay of proceedings because Ruthowsky once dated an investigating officer's wife, and again last week because the judge didn't think sentencing submissions from either the Crown or the defence were harsh enough. All the time sentencing was being pushed back, Ruthowsky continued getting paid. He was first suspended in June 2012, but he had been collecting pay from the public purse ever since. During three of those years, Ruthowsky popped up on the Sunshine List, which tracks the province's highest paid public sector earners. He made over $104,000 last year, over $107,000 in 2015, and over $109,000 in 2012. The trigger that allows police to stop paying him is a sentence with a jail term. Until that happened, under the current Police Services Act, Hamilton police had to keep paying him. Hamilton announced Wednesday that Ruthowsky has been suspended without pay effective May 30. This is far from the end of Ruthowsky's criminal proceedings. Last August, Ruthowsky was hit with 16 new charges, including bribery, breach of trust, perjury, cocaine trafficking and weapons trafficking. Those charges come from a Hamilton police investigation, separate from this trial, into events that took place between 2009 and 2012. The preliminary hearing for those charges is slated to start in October.